From the board room to the shop floor, technology is changing the most critical functions within the manufacturing industry at a faster rate than ever before. 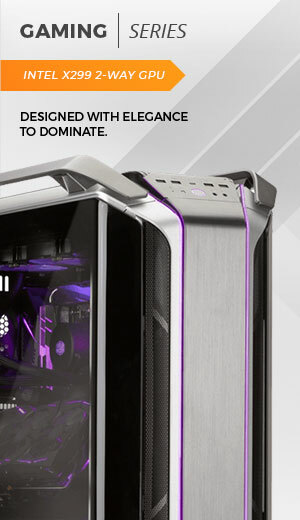 Your business needs the computer hardware to keep up. Engineers are modeling, simulating, testing and improving new products before they create even a single physical prototype. Manufacturers are becoming more predictive around maintenance, quality and efficiency. Marketers are becoming more analytical and responsive, using social media and customer relationship management (CRM) metrics to listen for and provide the types of information customers are seeking. From inventory management and optimization to digital manufacturing, our dynamic team of industry professionals will ensure our configurations meet your rigorous requirements. 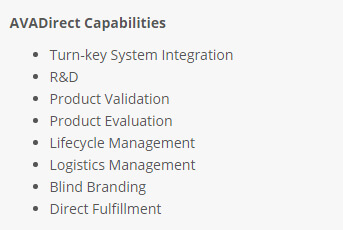 Let our technical team at AVADirect design and build a turnkey solution for your manufacturing business. Describe your company and how you’d like to grow, as well as your business-critical software and our dedicated staff will create a solution that meet your technical and budgetary needs, today and in the future. Our equipment undergoes extensive thorough testing including 24-hour burn-in and is backed by our world-class technical support. 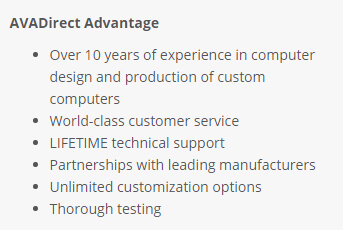 At AVADirect we provide excellent lifetime support for all of our products and solutions. Our long-term relationships with our vendors enables us to manage the supply chain for hard to find parts and mitigate obsolescence. Our technical support team will be standing by when you need to upgrade or replace your systems. 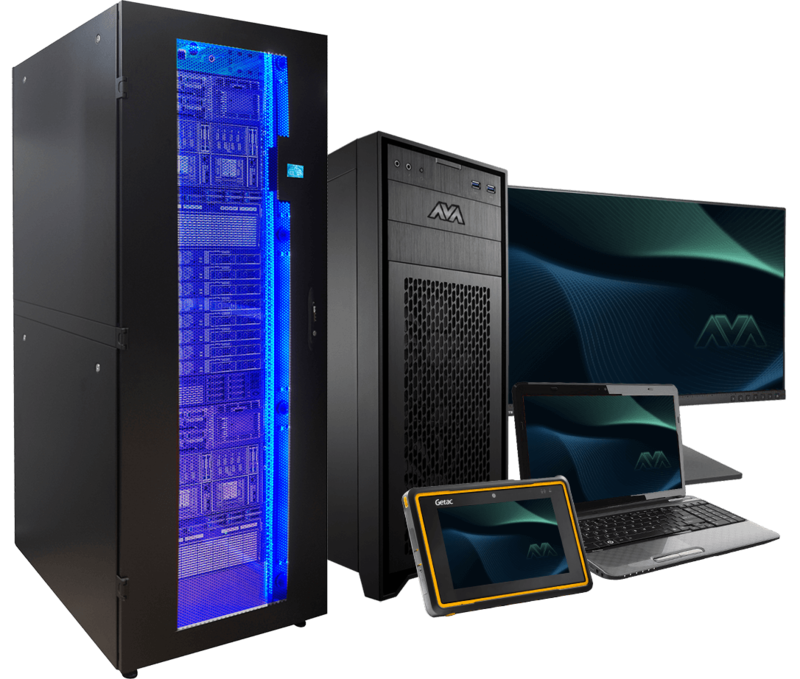 From durable laptops and rugged tablets for use on the shop floor, to engineering workstations, to inventory management servers, all of our products are proudly built and supported in the USA. Transitioning into this era of the digital factory can be daunting. Whether your role involves data science, digital manufacturing, engineering or IT, rely on AVADirect to provide the right solutions to keep your manufacturing operations moving forward. We use the latest technology and our expertise in the design, engineering, and production to deliver the servers, workstations and tablets you need to create safer, more efficient and more intelligent manufacturing. 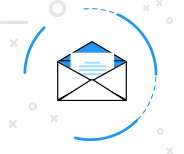 Please complete the following form, and a Manufacturing Sales Representative will contact you.